YBR 125 vs Honda CB 125 F – A detailed comparison! After the launch of Honda CB 150 F back in 2017, Atlas Honda, the largest market share holder in Pakistan for motorbikes, has started New Year with the launch of Honda CB 125 F. A bike with slogan #PowerKTashan debuted in Pakistani market, an addition of a new 125 CC bike in market where Yamaha YBR strongly grasped the roots and proved itself as one of the best bikes from a city ride to long tourist bike. So, can Honda CB 125 F compete with Yamaha YBR 125? Let’s start with comparison and decide it yourself which bike is most suited for your use. Please note that I have compared the most important parts that make the core of any bike otherwise the article will become too lengthy and boring. For more detailed comparison of specs, click here. I will try to compare features that are very common and known to masses instead of going into details for each spec. One major and key difference is their engine types. Honda CB 125 F is an OHV while Yamaha YBR 125 is an OHC engine. Now know that OHV is old technology but not obsolete yet while OHC engines are common now in almost every vehicle. The upside of the OHV engine is that these engines are simpler to design and has less production cost while OHC engine has a higher production cost due to its complex design, i.e. complex cylinder head. The OHC engine can get your bike higher RPMs while in case of OHV higher RPMs are not recommended due to their pushrods. Because on higher RPMs, pushrods have to bear immense pressure and may break apart. There are other ups and downs as well of both engine types but OHV is less common as compared to OHC as OHC engines are fuel efficient. Another proof of OHV is it gives you early torque or low rpm torque, but the downside is it produces a lot of vibrations. OHV is also poor fuel consumption. So, Yamaha YBR 125 got a better engine. Now, this is interesting. I was expecting it to be reverse shift pattern in Honda CB 125 F but it is forward shifted. Both are good to go but there is a definite reason for manufacturers adding reverse shift pattern in bikes. 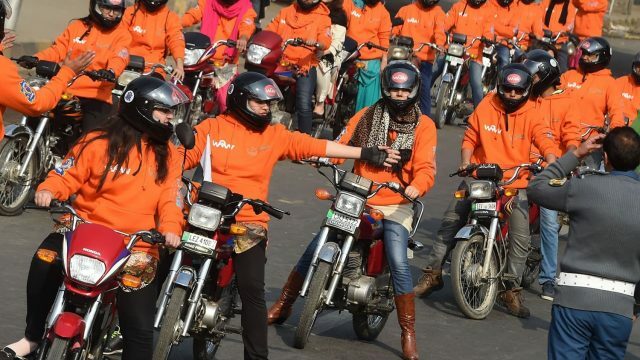 As of Pakistan where most of the bikes are manufactured keeping in mind of a rider a street rider, the forward shift is best. Just know here that reverse shift gives benefit to the rider on deeper curves. This is popular on racing bikes where they need to focus on the road instead of foot movement. Both shift patterns are ok. There is nothing to debate on it any further. 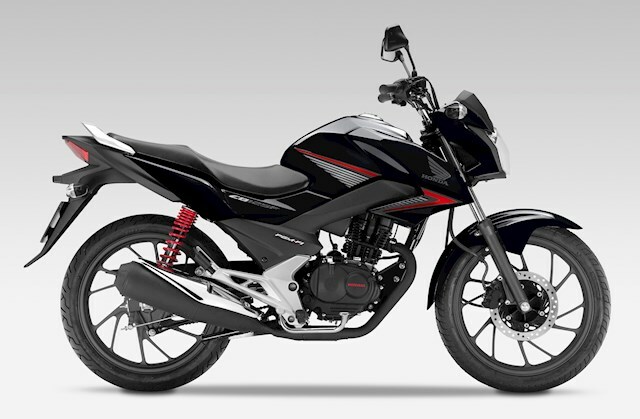 Surprisingly, Honda CB 125 F has lower ground clearance and longer wheelbase as compared to Yamaha YBR 125. This means Honda CB 125 F gives better road grip and handling as compared to Yamaha YBR 125. Honda CB 125 F has more dry weight as compared to Yamaha YBR 125. Having more weight also take part in road grip and bike handling but it comes with the cost of the bike being under power if power to weight ratio is not appropriate. So, Yamaha YBR 125 will give the rider a smoother riding experience as compared to Honda CB 125 F. Honda should have installed balancer or something like it to reduce vibrations. A clear downside so far. As for compression ratio, YBR takes the lead. More compression ratio means more fuel intake but a powerful blow to the piston and resulting in more power to the wheel. Honda is behind it but due to its OHV engine, it produces early torque. 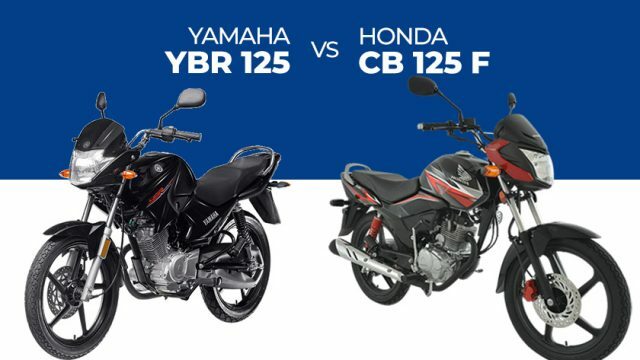 YBR may not be giving you an early pick (early torque) but on a longer run, Yamaha YBR 125 will definitely beat Honda CB 125 F. But for a short burst race, Honda CB 150F or even CG 125 will win the race. Now, this is the deciding factor. What you get at these prices will determine the success of each bike. As for Yamaha YBR 125 (especially YBR 125 G), it has already proven itself in the Pakistani market and also on tours. Honda CB 125 F is new in the market and yet to be concluded. However, there is almost of 20,000 rupees difference in both of their prices. 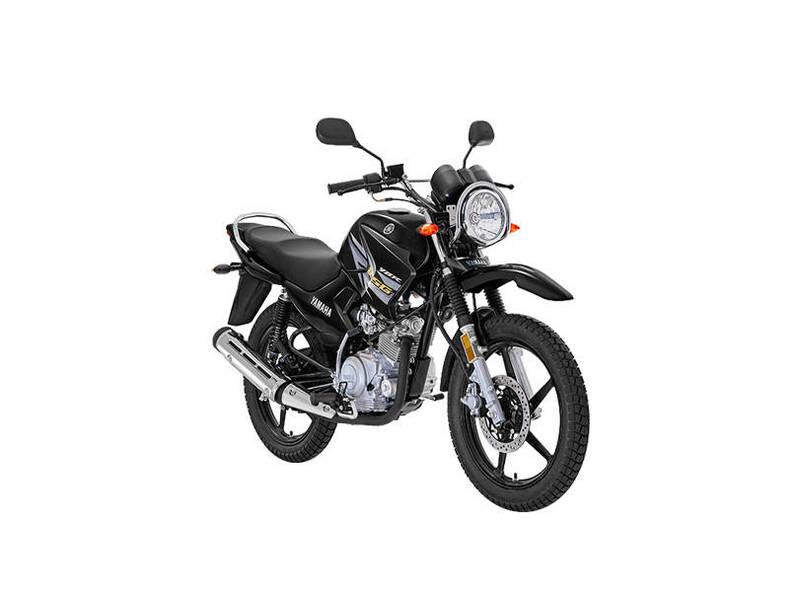 All of the features that are available in Yamaha YBR 125 also available in Honda CB 125 F. So, is the price of Honda CB 125 F is justifiable even it has an OHV engine which is an old one. Well, if I am to conclude, Honda CB 125 F is overpriced because Yamaha YBR 125 is better in most of the features than Honda CB 125 F and yet Yamaha YBR 125 is cheaper. Apart from that, it is clear that Honda CB 125 F seems just an upgrade of Honda Delux. The common things that were missing in Honda Delux like Tachometer, Fuel Indicator, Gear Position Indicator, Self-Start and Alloy Rim are now available in Honda CB 125 F.
Software Engineer. Passionate about bikes and riding. Owns Suzuki GS150SE. Also did Neelam Valley tour on it.